True story – I actually had a dream about this recipe. 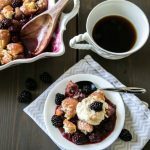 As soon as I woke up, I had to search for a blackberry cobbler recipe made with donuts (I blame the pregnancy), but there were none to be found! I decided that I needed to experiment until I perfected my own recipe to fulfill my craving and finally created the perfect rendition. 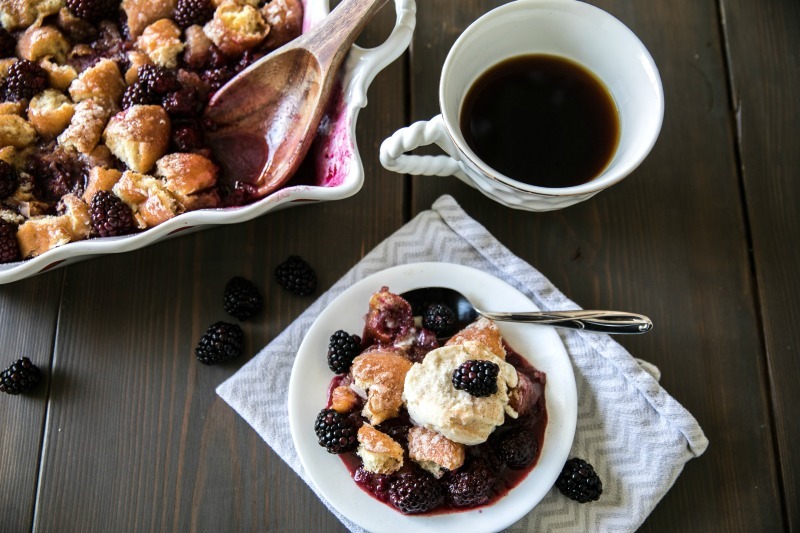 I hope you all enjoy this decadent Krispy Kreme Donut Blackberry Cobbler as much as I do! I grew up making blackberry cobblers with my mom and my cousin. We would add a scoop of ice cream and drizzle a little bit of honey on top. Indulgent, I know! But that’s how I do things. 😉 It was one of my favorite desserts growing up and reminds me of sweet memories spent in the kitchen with my family during the cold winter months. 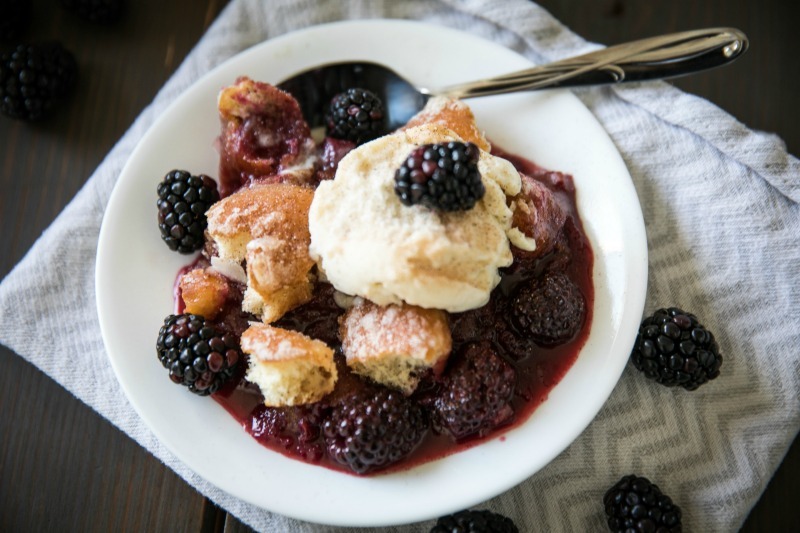 My mom’s blackberry cobbler recipe is pretty much perfect, but there’s no harm done in occasionally replacing that topping with delicious Krispy Kreme glazed donuts sprinkled with cinnamon and sugar. 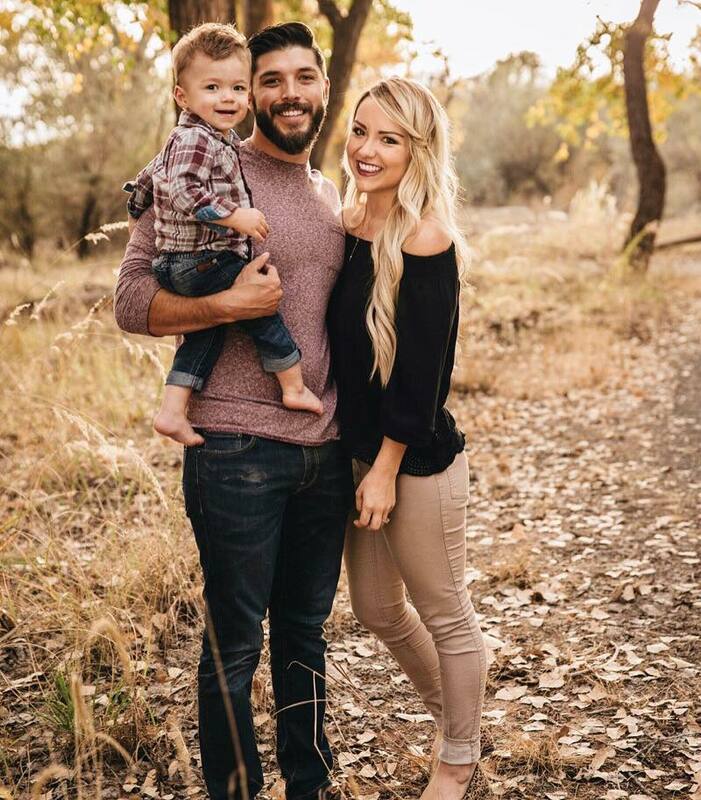 I love how quick and easy it is to make – especially because we often have a lot of last minute guests! This decadent dessert is best served warm and topped with a little vanilla ice cream. I hope you enjoy! 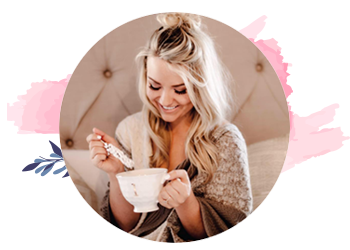 Click here to receive my TWO, FREE Recipe eBooks with Sugar Cookie Blueberry Cobbler, Pecan Pumpkin Bread with Maple Glaze, Creamy Spinach + Artichoke Dip with Garlic Cheese Toast, Tamale Pie + more! 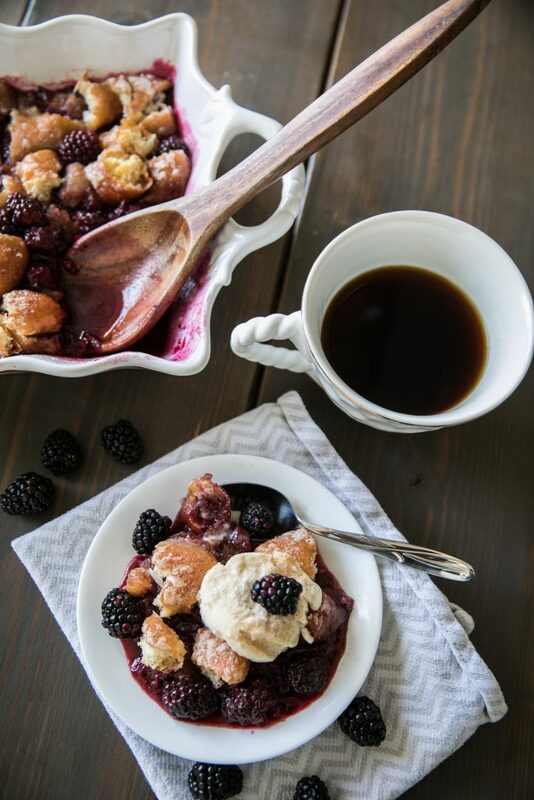 This Krispy Kreme Donut Blackberry Cobbler is a quick and easy treat for a cold, winter day! The tart and sweet flavors combine to make a deliciously decadent and hot dessert. Pair with a scoop of ice cream and cup of coffee for a treat that will fulfill any sweet craving. Break apart 6 Krispy Kreme donuts into pieces and place along bottom of a 8x8 or 9x13 baking dish. In a medium pot, combine blackberries, sugar, lemon zest and water. Bring ingredients to a full boil. Once boiling, reduce the blackberry mixture to a simmer and allow to cook for 5 minutes, stirring occasionally with a rubber spatula. While blackberries are simmering, combine the 2 tsp. sugar and 1/2 tsp. cinnamon in a small bowl and set aside. 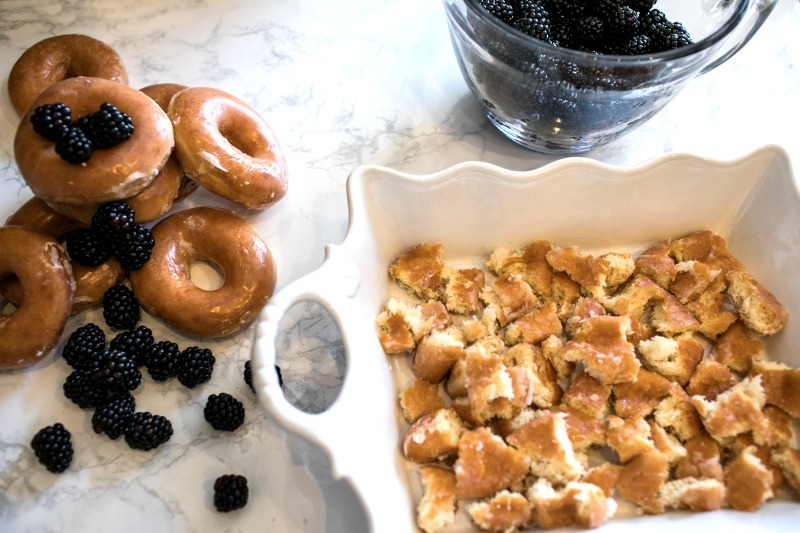 Once heated through and thickened, pour the blackberry mixture evenly over donuts in baking dish. Break apart remaining 6 donuts into small pieces and place on top of blackberry mixture. Place in oven and bake for 15-17 minutes, until donuts are slightly crisp.